To commemorate the 25th anniversary of the publication of Hellboy: Seed of Destruction, Dark Horse Comics is publishing Hellboy: 25 Years of Covers. In Hellboy: Seed of Destruction, creator Mike Mignola first introduced comic book readers to the Right Hand of Doom, the Bureau for Paranormal Research and Defense, and one of the most iconic comic book characters—and universes—of all time. 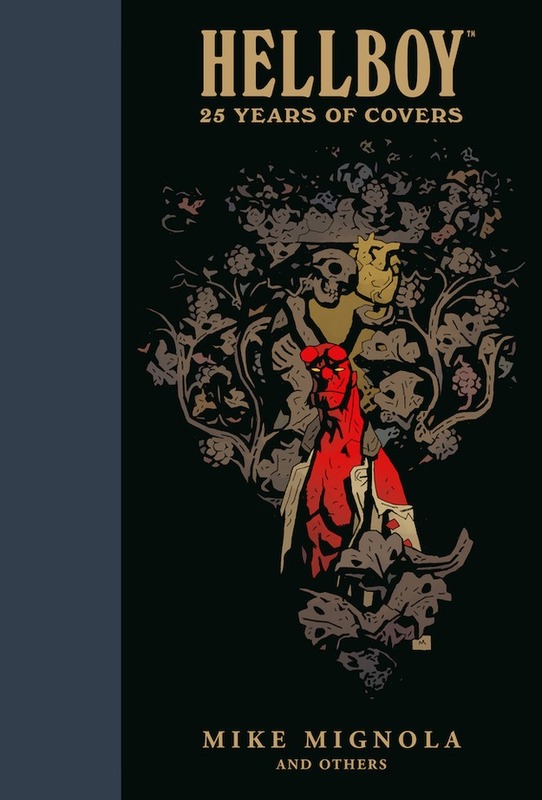 And on July 3, 2019, Dark Horse will pay tribute to the characters’ legacy and 25 years of spellbinding covers with Hellboy: 25 Years of Covers, a deluxe, oversized hardcover collection that includes more than 150 full-page cover pieces from artists including Mike Mignola, Richard Corben, Duncan Fegredo, and more, featuring an introduction by colorist Dave Stewart and a foreword by Mignola. And covers of upcoming and unannounced titles, including new covers by Mignola, Fegredo and Paolo Rivera. Hellboy: 25 Years of Covers is an oversized 8 ‘ X 12’ hardcover, retailing for $34.99 and is available for pre-order on Amazon and at your local comic shop. Hellboy has appeared in graphic novels and comic books, prose novels and short story collections, two animated features, two live action films, toy lines and all manner of merchandise. Neil Marshall’s forthcoming Hellboy film starring David Harbour, Sasha Lane, Ian McShane, Penelope Mitchell, and Milla Jovovich will be released by Lionsgate on April 12, 2019.